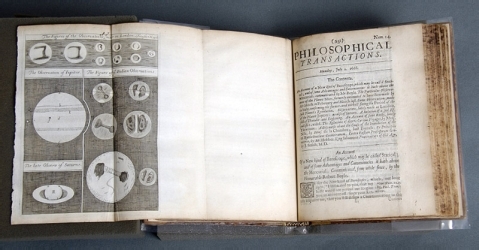 The Philosophical Transactions (or, Philosophical Transactions: Giving some Accompt of the Present Undertakings, Studies and Labours of the Ingenious in Many Considerable Parts of the World, to allow it its full title) began life in 1665 as the personal venture of the Royal Society’s industrious first Secretary, Henry Oldenburg. Born in Bremen around 1619, he was educated in his home town and subsequently, though less formally, at Utrecht and Oxford. By 1660 he was settled in London, having perfected his English (Milton complimented it as the best he’d ever heard from a foreigner) through a series of appointments as tutor to the sons of English noblemen, most recently to Richard Jones, Robert Boyle’s nephew, and a couple of diplomatic missions as Bremen’s envoy to Oliver Cromwell, England’s Lord Protector. Oldenburg and Richard spent three years touring the continent following a year in Oxford, during which time he met many of the most eminent natural philosophers in France, Germany, Switzerland and the Dutch Republic. He was an associate of the London-based educational reformer and improver, Samuel Hartlib; and his time in Oxford, as well as his connection with the Boyle family, probably brought him into contact with the circle of English natural philosophers meeting under the supervision of Wadham College, John Wilkins. This also included Robert Hooke, the mathematician John Wallis, architect Sir Christopher Wren, and the anatomist Thomas Willis. When the inaugural meeting of what was to become the Royal Society was held at Gresham College in late November 1660, many of Oldenburg’s philosophical friends and acquaintances were in attendance, and he was proposed as a member the next month. The constitution of the Society wasn’t formalised until the grant of its first Charter in 1662, but at that point Oldenburg’s vast acquaintance among the intellectuals and natural philosophers of Europe, coupled with his considerable skills as a linguist – he wrote English, Dutch, French, German, Italian and Latin with virtually interchangeable fluency – made him a natural choice for the post of Secretary, with the Society’s correspondence as his particular responsibility. 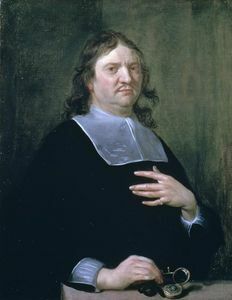 By the summer of 1664 ,Oldenburg is known to have been considering adapting his two previous roles, as a tutor to noble families and as secretary to the Society, into a new money-making scheme, proposing to Boyle, whom he now assisted as editor and translator of Boyle’s chemical works, to start a subscription service; a letter of ‘weekly intelligence, both of state and literary news,’ which he hoped Boyle would be able to suggest willing subscribers for. Shortly thereafter news came of the launch of the Journal des Sçavans at Paris, a printed weekly containing reviews of books on theology, history, medicine, and natural philosophy. Oldenburg had been contacted by the authors of the French periodical and invited to supply accounts of new books and other goings-on in the world of English learning; he brought a copy of an early issue into a meeting of the Society, along with what was described as ‘a sample’ of a similar project, ‘but much more philosophical in nature’. This was a draft, or perhaps a proof copy, of the first issue of Phil Trans. Oldenburg published the journal himself, though it was licensed by the Society – its Charters included the right to license books for publication on its own authority – and compiled it himself, adapting bits of his correspondence, accounts of books that had come his way (at first or second hand), and reports of experiments carried out in the Royal Society and elsewhere. It’s important to note that the Society’s oversight was confined to licensing – there was, at this time, no systematic process of peer review, and none was apparently contemplated. The Society did, however, occasionally recommend particular papers for publication. The early journal was printed for John Martyn, a publisher and bookseller working in St Paul’s Churchyard and the officially designated ‘Printer to the Royal Society’. The expense of the project was Oldenburg’s, however. The retail price of a monthly issue was fixed at one shilling – steep, for a pamphlet of two or three sheets – and the print run was probably quite large. We know it was negotiated at 1000 copies in mid-1665 – Oldenburg was hoping for 1250 – and he took 50 copies himself for distribution to his correspondents. Oldenburg also gives us a break-even sales figure of 300 copies, indicating production costs of £15 per issue. Sales of 500 would thus afford printer and publisher a profit per issue of £5 each: not handsome, but not entirely negligible either. 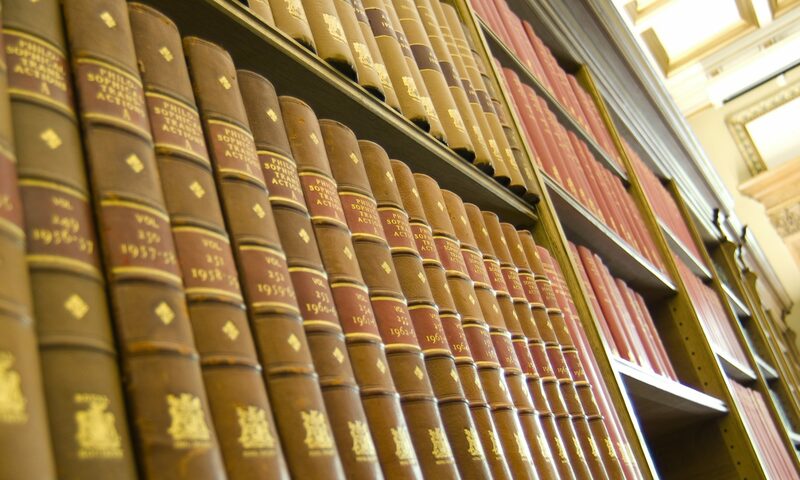 By the end of 1673, Philosophical Transactions had put out its 100th issue, though not without some bumps along the way. The papers for that year include contributions from Sir Christopher Wren, Robert Boyle, the Dutch entomologist Jan Swammerdam, John Flamsteed, the future Astronomer Royal, Christiaan Huygens, the Delft microscopist Antoni van Leeuwenhoek, and Isaac Newton, whose first published papers, featuring his design for a reflecting telescope and outlining his optical experiments and the heterogeneous theory of light, appeared in 1672. 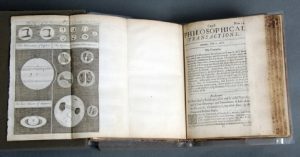 (Newton’s theories were radical enough to invite controversy and criticism, mostly polite, from scholars across Europe, and a lot of it was carried on in the pages of the Transactions for 1672 and 1673). Though there was no formal submission process, and much of the language of the journal is Oldenburg’s, his correspondents would occasionally ask, directly or indirectly, if their contribution might be printed. Oldenburg sometimes asked for permission to print a letter, but more often he took it for granted that in sending him their communications scholars were giving him their tacit permission to share them with the Royal Society and beyond. Oldenburg’s links with the Continent avoided disruption during wartime through the intercession of Sir Joseph Williamson, a Fellow of the Royal Society and keeper of the State Paper Office, through which Oldenburg was allowed to send and receive his correspondence. Letters from overseas were to be addressed to ‘Monsieur Grubendol’ – not the most impenetrable cipher, but perhaps it didn’t need to be – and delivered to Oldenburg, who would then sift their contents for political news which he sent back to Williamson. Charles II involved the English crown in numerous wars – though by the standards of Louis XIV of France, his contemporary, he was comparatively restrained – and 1673 saw another of these, the third Anglo-Dutch war. A correspondingly high proportion of the surviving Oldenburg letters for that year bear the Grubendol address. Though most of the content appeared in English, either because it originated in English or because Oldenburg had rendered it that way, there were occasional Latin contributions. At least half of the material in the early journal originated in another language, however. This didn’t prevent a number of people, especially on the Continent, from mistaking the journal for an official publication of the Society; Oldenburg did his best to correct this impression, but it persisted anyway. Though it didn’t initially afford Oldenburg a living – by 1673 this was a less urgent question, since his second marriage in 1668 to Dora Katherina Dury (1654–77) supplied him with a comfortable income – Philosophical Transactions soon became an entrenched part of the European Republic of Letters. Extracts from the journal were recopied into other European vernaculars, a Latin edition was mooted (and actually attempted). By the end of 1673, the format, periodicity, and scope of the journal were fairly securely established, it was very highly esteemed all across the Continent, and, as yet, it had no direct rival, European or English.